Families travelling with children under 18 years old will need to upgrade to a private room. Accommodation upgrades will need to be arranged directly with PK’s Jungle Village. Upgrades can be made on the day of the tour (subject to availability) or can be arranged directly with PK’s Jungle Village. All room upgrades are to be paid directly to PK’s Jungle Village. 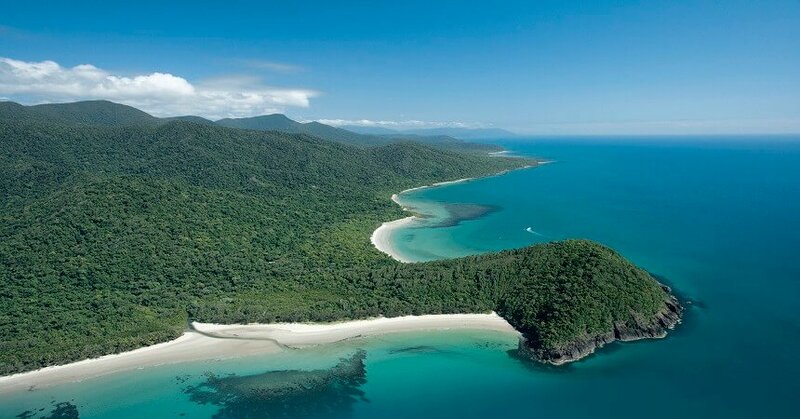 Cape Tribulation marks the point where the Great Barrier Reef meets the oldest rainforest in the world, the Daintree. 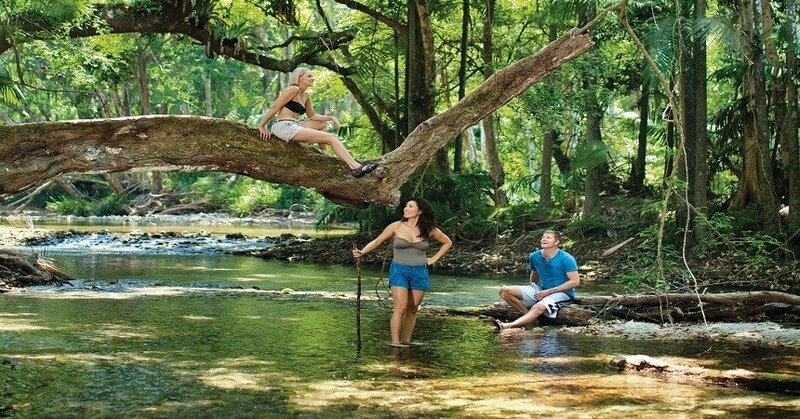 Our 2 Day Daintree Rainforest and Cape Tribulation Tour, you’ll get to experience both sides of the region with plenty of memorable activities thrown in for good measure. 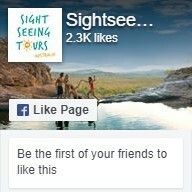 You’ll get the chance to witness this ancient rainforest come to life on a fully guided night walk with an expert guide. 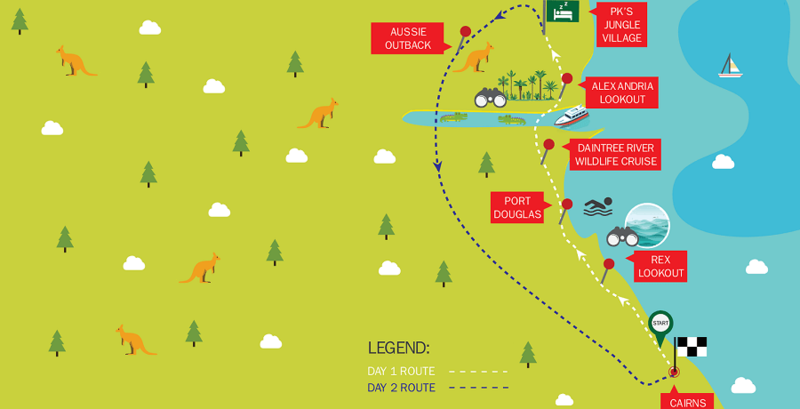 This 2-day tour will take you on a journey to explore pristine clear creeks, lounge on tropical beaches, go on the hunt for ancient saltwater crocodiles, and venture to the boundary of the outback to feed wild rock wallabies. 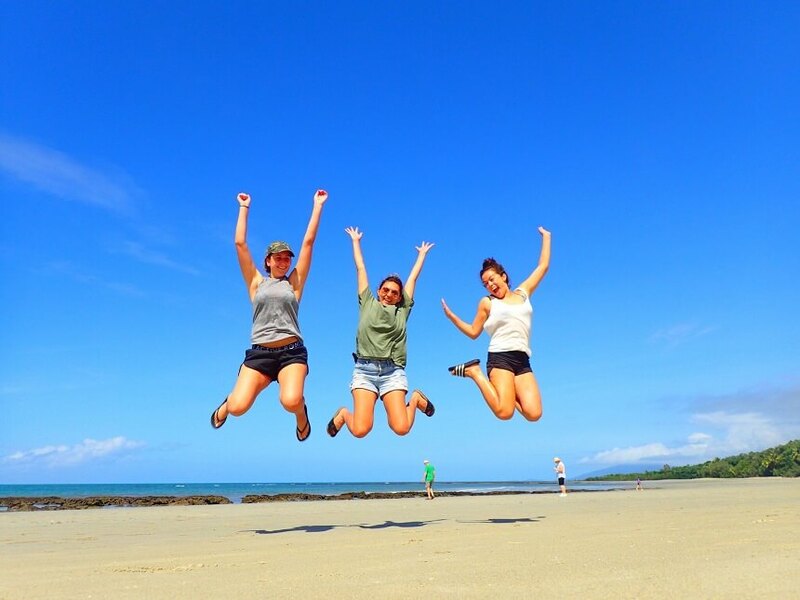 Our first stop on the first day is Port Douglas, where we’ll make a quick pitstop for a walk and a swim at the area’s famous 4-mile beach before we head out on a mission to find the local crocodiles on a boat cruise. 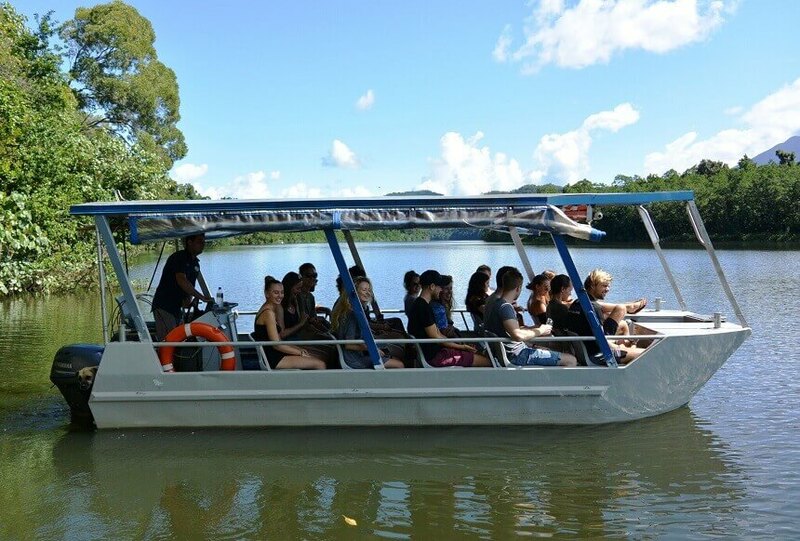 Next, we’ll take the ferry across the Daintree River and venture underneath lush rainforest canopies in search of the elusive cassowary. 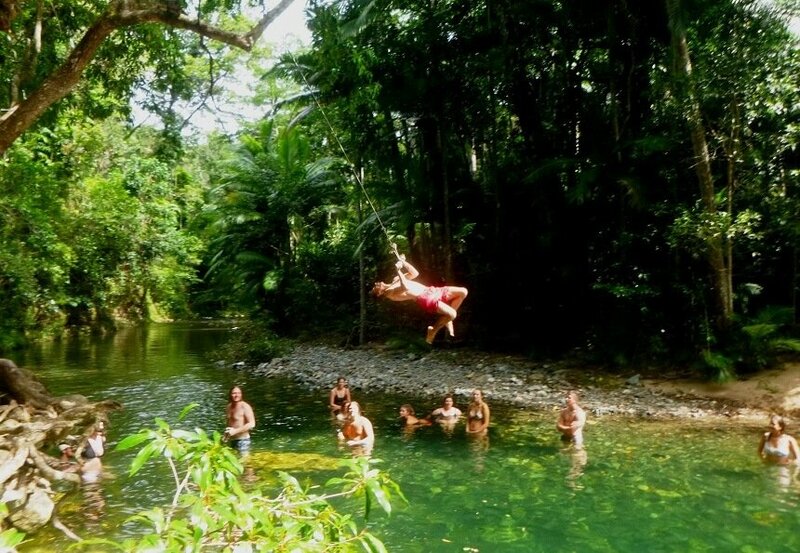 In the afternoon, you’ll have plenty of free time to soak up the rays on the beach or take a dip in some of the rainforest’s most picturesque creeks. 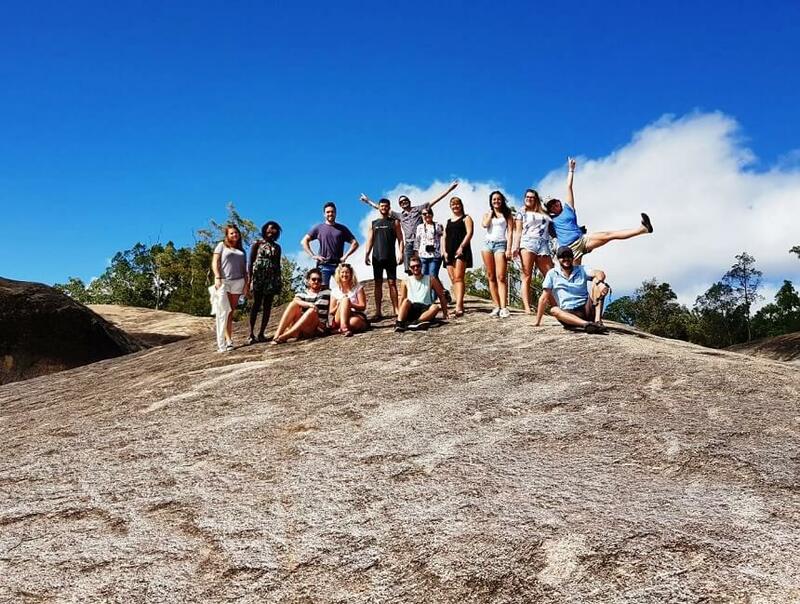 On the way to our overnight accommodation in the heart of the rainforest, we’ll head to two lookouts to experience jaw-dropping views across the surrounding landscape. When darkness falls, we’ll take a night walk through the rainforest to discover the ancient beauty of the scenery in a different light. Keep your eyes peeled for many of the nocturnal native animals that come out to feed in the cool of the night. The next morning you can rise early to watch the sun come up before we give you plenty of free time to explore the region as you like. You can take a reef trip out into the Great Barrier Reef, discover the scenery on horseback, or take to the treetops and go on a zip line adventure through the forest. 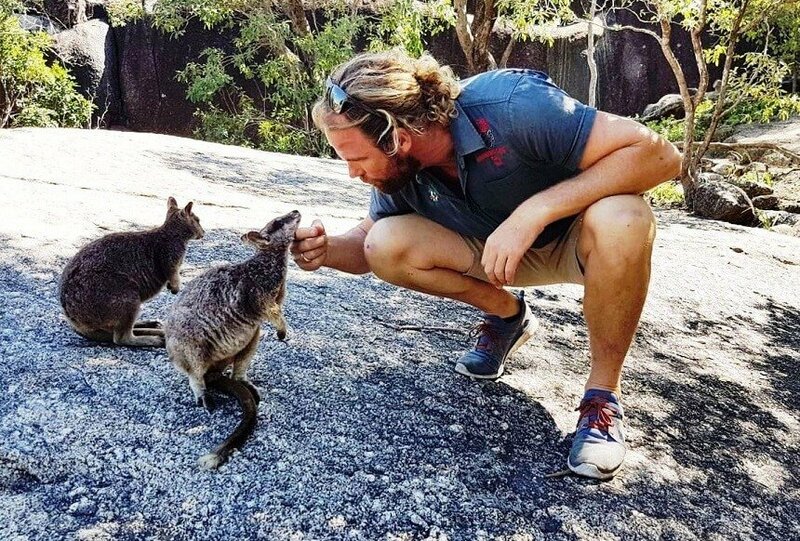 Our last stop on the journey back is the boundary of the outback, where you can witness huge termite mounds jutting out of the rust-coloured ground and hand feed the local rock wallabies as they go about their daily business.